FOCUS: STEWARDS OF THE EARTH Whenever she would begin to lose faith in humanity, the sight of elephants always reminded war photographer Kate Brooks that there is still beauty in the world. Then she saw that these magnificent beasts—as well as rhinoceroses—are being hunted to near-extinction. Profits from sales of ivory tusks and horns fund conflict in Africa, supporting the activities of Al-Qaeda, Boko Haram, the Lord's Resistance Army, and other rebel groups. 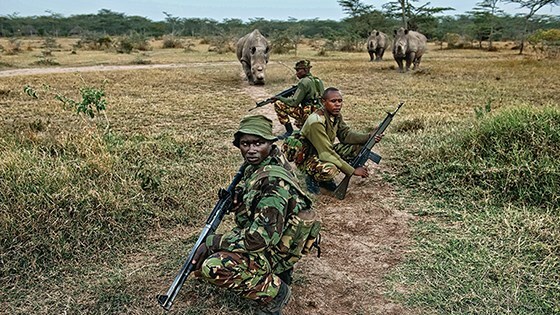 In this powerful documentary, Brooks exposes several facets of the all-out war on these animals while also highlighting the work of anti-poaching rangers, scientists, and activists engaged in the global struggle to prevent the pachyderms’ extinction. As the five remaining northern white rhinos on the planet count down to two, Brooks makes an urgent argument for a total ban on the ivory trade. Without such action, there is a very real possibility that our grandchildren will be left only with fading images of these gentle and awesome creatures. Panel discussion to follow the Oct 10 screening. Kate Brooks is an international photojournalist who has chronicled conflict and human rights issues for nearly two decades. Her photographs have been exhibited around the globe and published in magazines, such as TIME, Newsweek, The New Yorker, and Smithsonian. 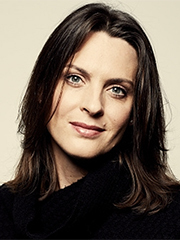 In 2010, Brooks worked as a contributing cinematographer on the documentary The Boxing Girls of Kabul, an experience that sparked her passion for filmmaking. In 2013, she was awarded a Knight Wallace Fellowship at the University of Michigan where she researched the wildlife trafficking crisis before directing her first film, The Last Animals.